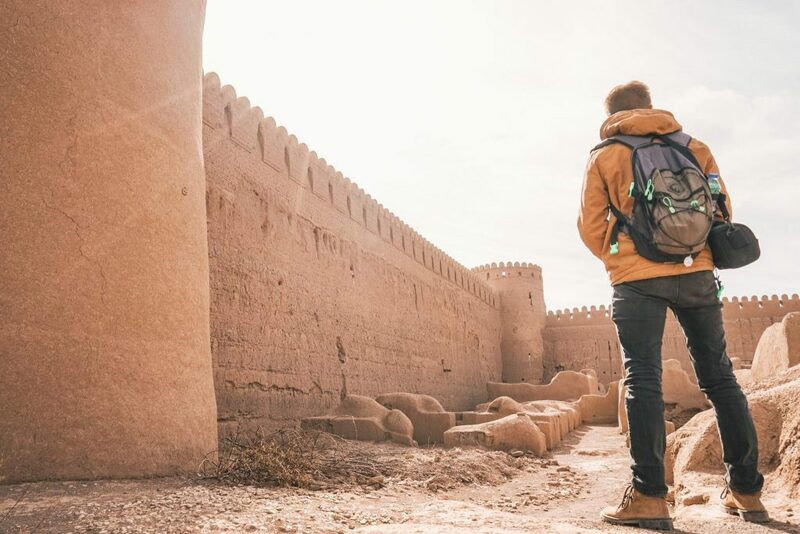 A comprehensive guide to the absolute best things to see and do around Kerman in Iran – Don’t waste your precious time in Kerman Iran looking for closed museums or disappointing monuments, I’ve done the research so you don’t have too! The new Tokyo or Copenhagen. 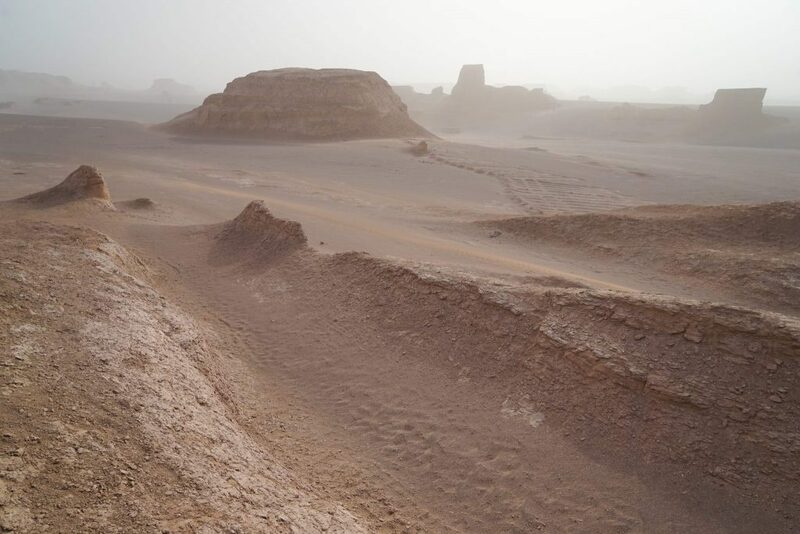 Here you can interact with curious locals, discover historic sights without other tourists in site and of course to visit the big attractions in this desert region – most of which are a simple day trip from Kerman. 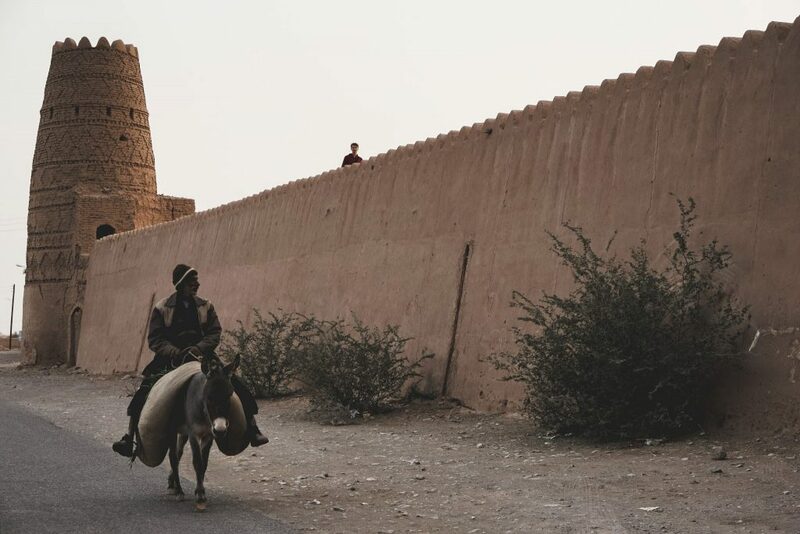 You won’t get hassled by touts here, but instead, find some of the friendliest people in Iran who are just glad you have come to explore the wonders of their regions. Allow three to four nights to experience all the highlights of Kerman Iran and it’s surrounding area – trust me, you won’t be disappointed! The trump card of this region, a trip out to the Lut Desert UNESCO Site to see the eerily barren wasteland is an absolute must. 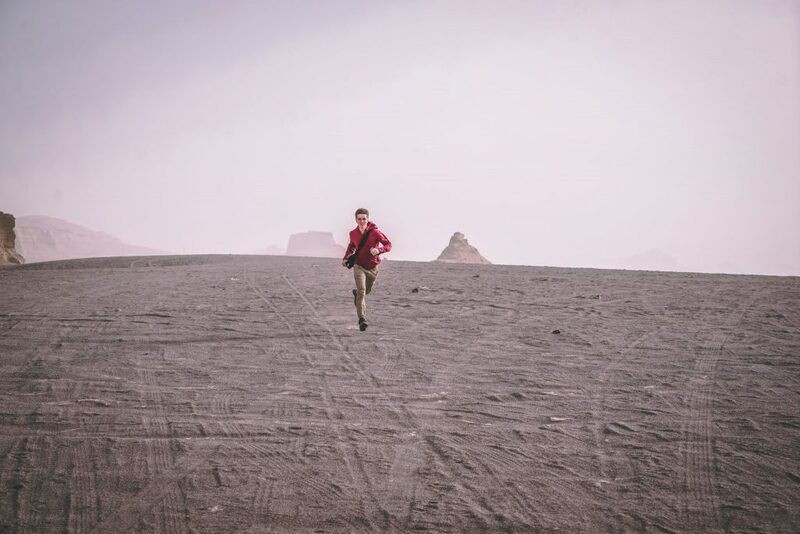 Out here – nothing at all grows, and dramatic erosional features known as Kaluts are the main drawcard. 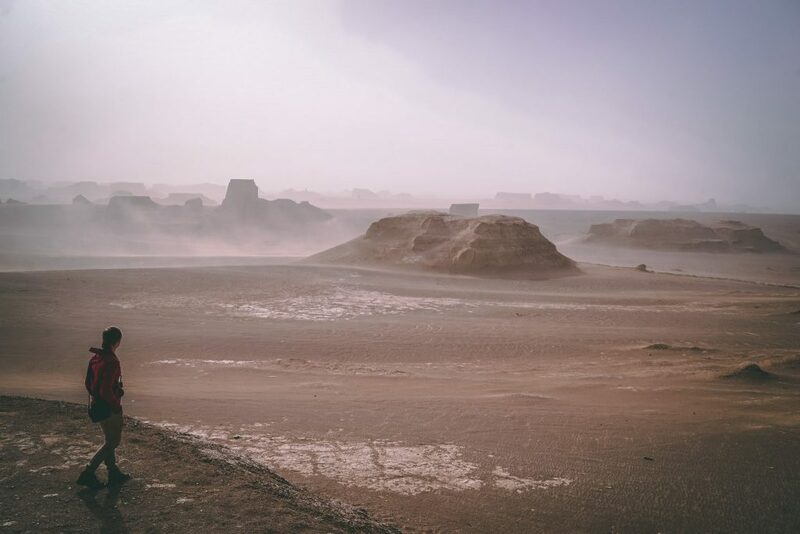 The Kaluts is best seen at sunrise or sunset due to the dramatically changing color, you just can’t visit Kerman without making the trip out there. 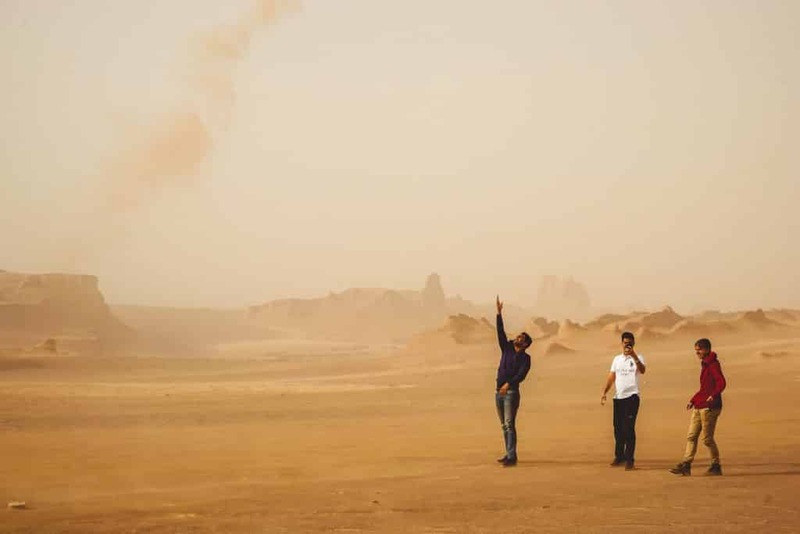 Be careful in summer as the Lut Desert is one of the hottest and driest locations on Earth and you do not want to be outside in peak hours, though in winter you will need a jacket. Be sure to spend a few hours wandering around, climbing and exploring this utterly unique natural phenomenon. 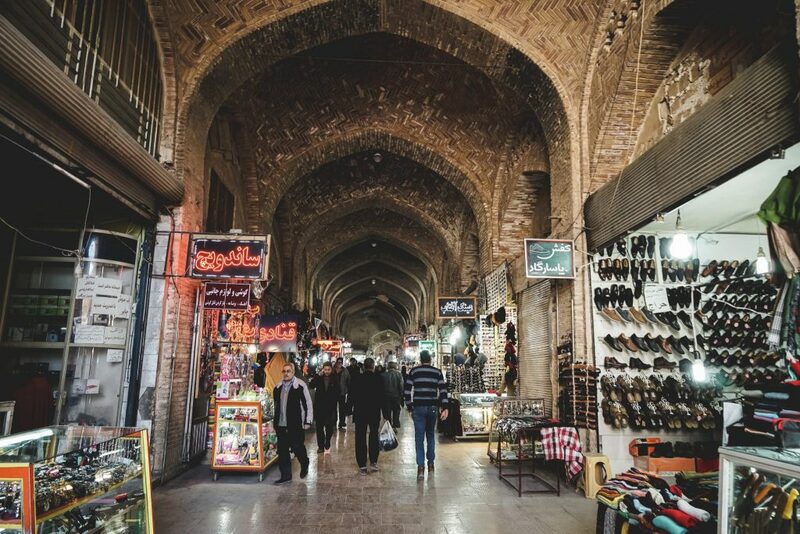 Kerman’s Grand Bazaar is one of the clear highlights of the central city and is one of the oldest Bazaar’s in Iran (after the UNESCO listed Bazaar in Tabriz). With a classic vaulted ceiling and over 1.5 kilometers end-to-end there is plenty to explore here so take your time and don’t forget your camera: the friendly stall owners won’t mind a photo! 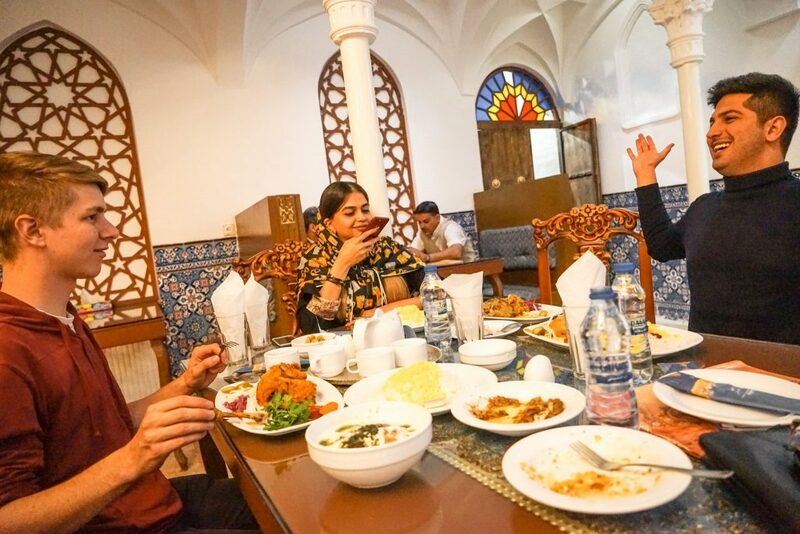 Pay special attention to the gold section and copper bazaar of Kerman held within – and look out for the bathhouse museum if you have extra time (or just stop in at Hamam-e Vakil Chaykhaneh restaurant for some tea which is also built in a former bathhouse!). 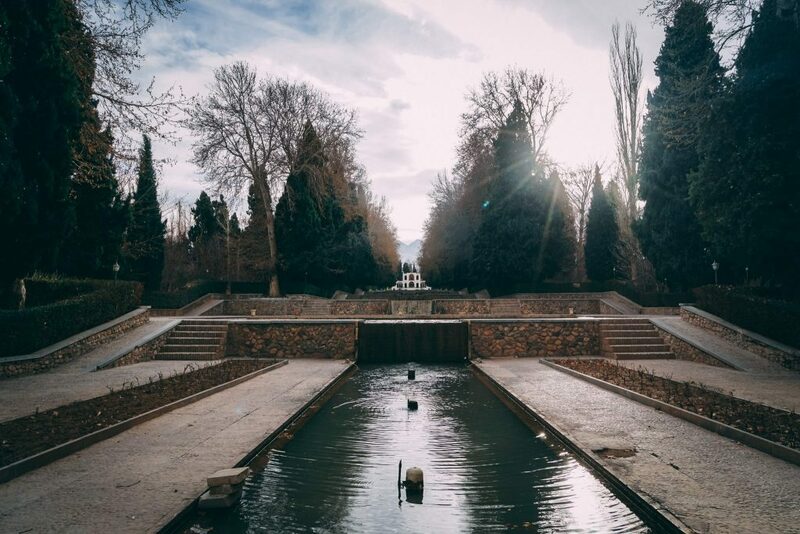 Claimed to have been one of the most beautiful gardens in Persia, Fath Abad Garden until recently suffered years of neglect – had many of its trees dry up and died and has only just been beautifully restored bringing back something of its former glory. 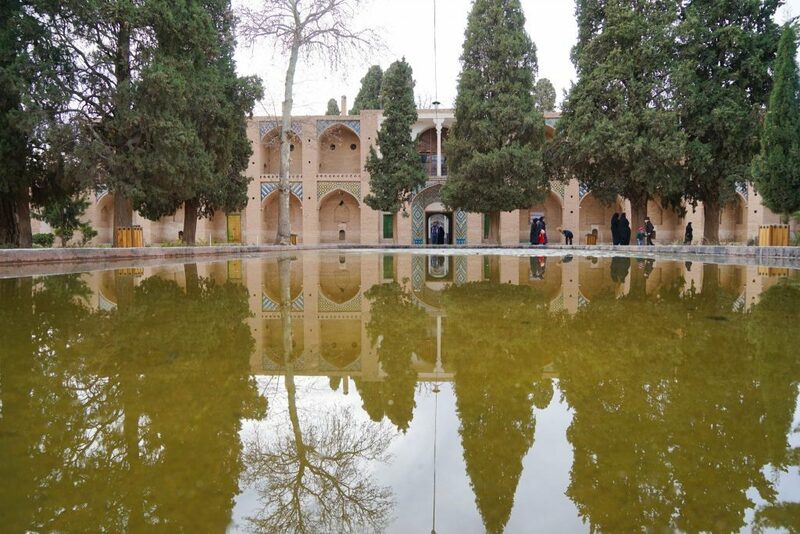 An important historical place from the Qajar period (constructed in 1870) it is famed for its long reflection pond and ornate architecture. 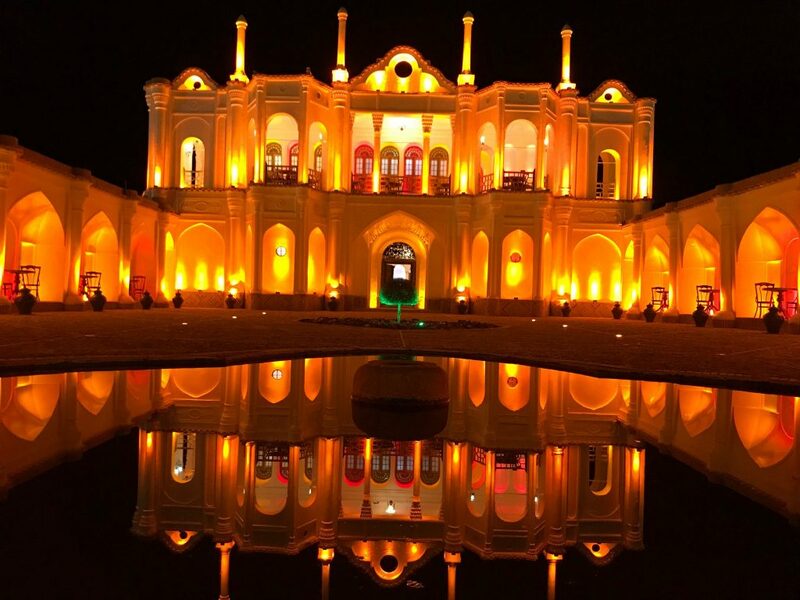 Surrounded by pistachio gardens, Fath Abad Garden in Kerman is best visited around sunset to appreciate its changing colors and the beautifully done night illuminations that will take your breath away. 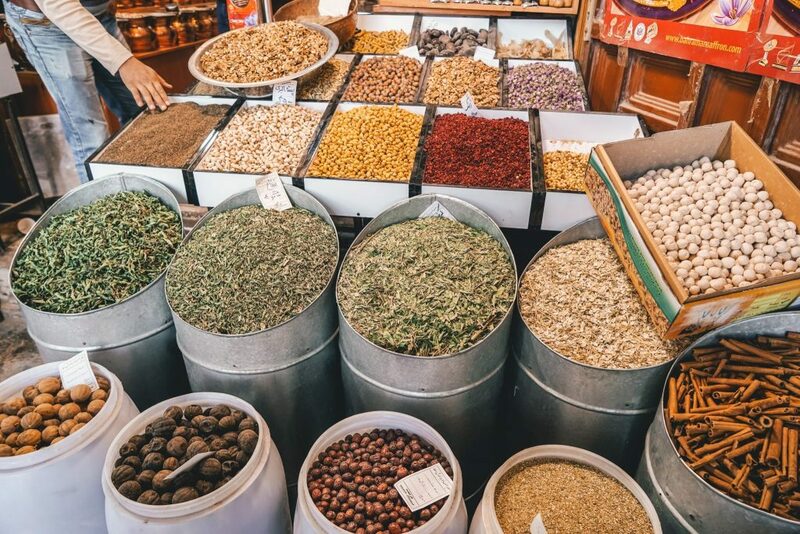 Cheaper than Tehran or other tourist towns in Iran – and just as good, Kerman is the place to let your taste buds experiment with locals flavors and spices. Most locations here can be found in beautiful spaces with low prices, but for the best food in town you need to check out Spakho Resturant Kerman for their opulent white interior and affordable salad and hot buffet at lunch. In the evening head to Sindokht near the airport for atmospheric outdoor dining in summer or cozy interiors in winter, with large portions and plenty of traditional food options. 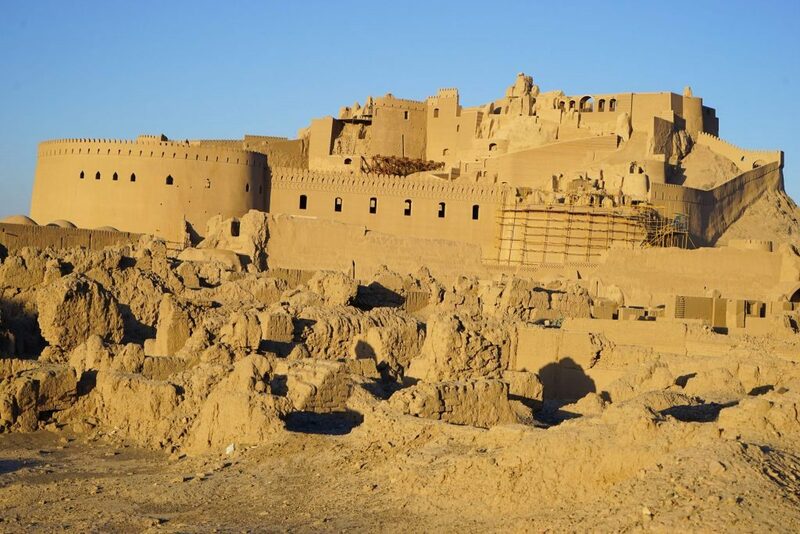 Bam – the famed sandcastle fortress of Iran, is found in a desert oasis just two hours drive south of Kerman. 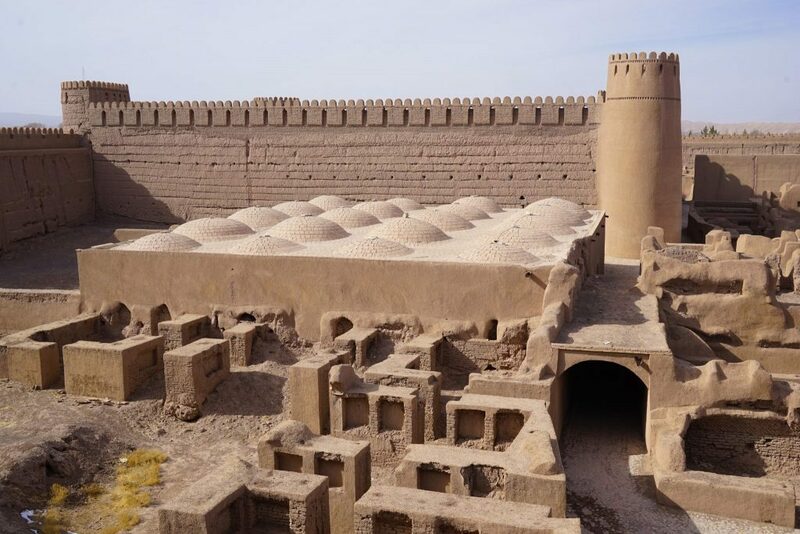 Tracing it’s origins back to the Achaemenid period (around 6th to 4th centuries BC), Bam later became an important crossroads on the Silk Road and with this importance (and money) came underground irrigation canals, the qanāts, and Arg-e Bam – the best example of a fortified medieval town using mud layers in the world. Hit hard by the 2003 Bam Earthquake, experts have spent 15 years tirelessly restoring the site, and you can read more in this complete guide to Bam Iran. 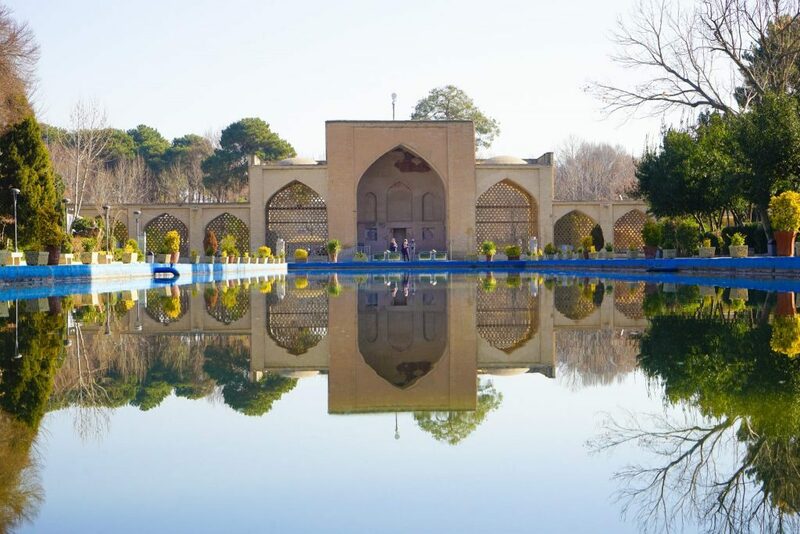 A UNESCO World Heritage site just 30 minutes south of Kerman, the Shazdeh Mahan Garden rise out of the arid-desert like a beautiful mirage and inside its internal walls is a glorious garden on Eden complete with tall trees and fresh water running straight from the mountain. 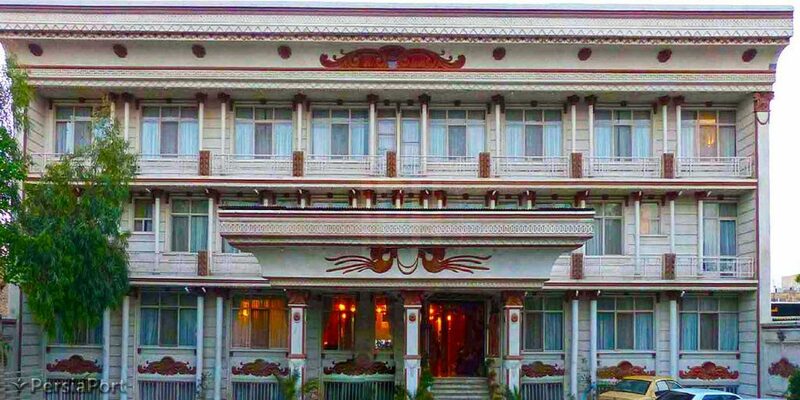 There are a tea-house and residence onsite and is best visited in the evening when the sun lights it up beautifully. Be aware however it undergoes maintenance in winter so might be quite ugly, and is worth calling ahead to see if this is the case when you are there as it does take away quite a bit of the spectacle. A favorite place for lovers and families alive in Iran, be sure to take your time and amble slowly around. 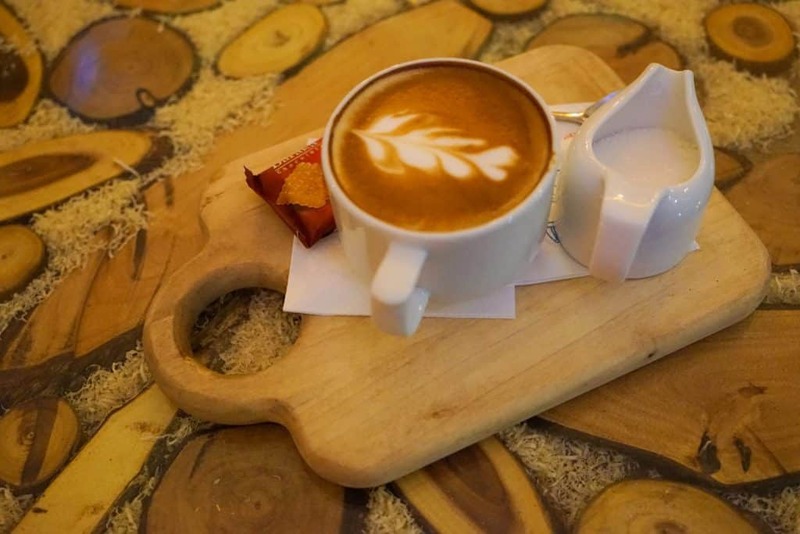 While not having the diversity of delicious coffee that can be found on almost every corner in Tehran these days, Kerman is still joining the national trend and plenty of hip-new coffee shops have opened embracing the West’s love of caffeine. 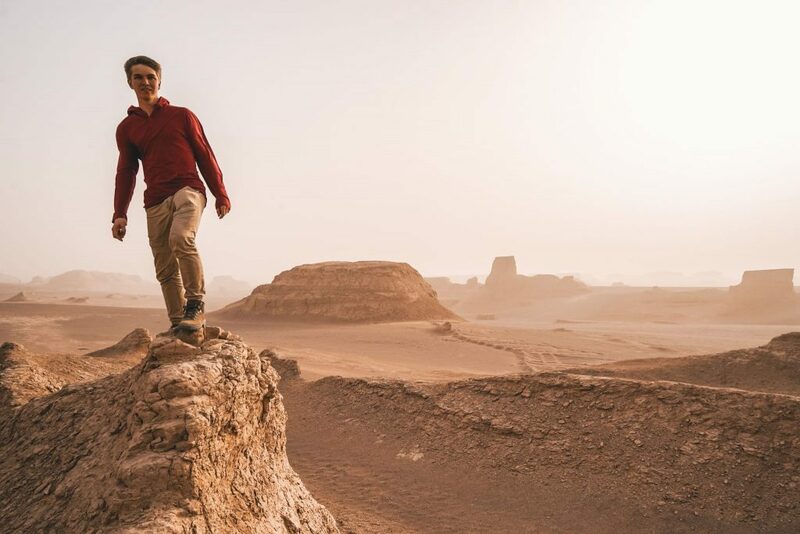 Fulled with university students, free thinkers and plenty of people who would love to chat – Visitors to Kerman should not pass up the opportunity to experience this new and exciting trend in Iranian life that has only been allowed the last few years. 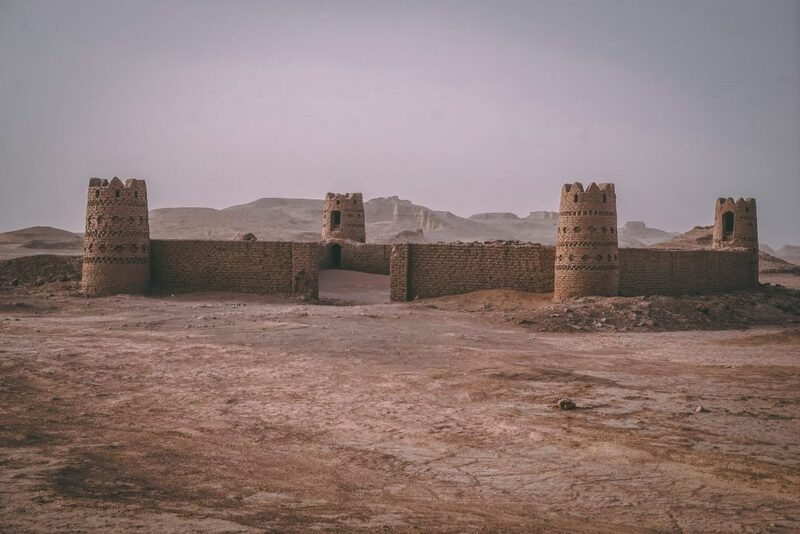 Sadly, for now, there are no hostels in Kerman and with most attractions being a good distance out of the city you will be in need of a trusty hotel. We had Akhaven Hotel recommended to us by plenty of travelers and thought it was the perfect place from which to explore Kerman with clean rooms, many travelers passing through and breakfast included. Slightly kitschy in design, the real highlight here is the tour desk run by two brothers who can organize tours at a moments notice at far cheaper prices that we could find online (and three times cheaper than any taxi we asked). Even if you don’t stay here I would recommend you check out their tour desk for the best prices in town – and friendly advice in fluent English! 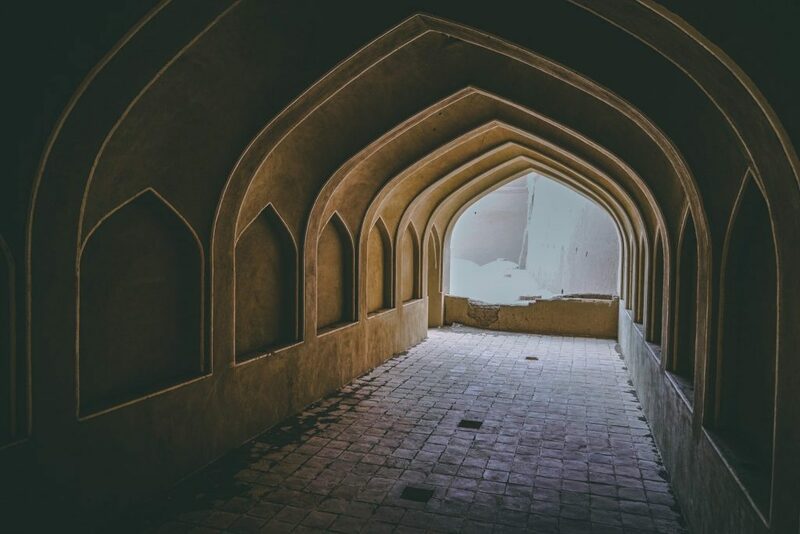 The adjoining town of Mahan is famed for the grand mausoleum complex built to house the remains of Shah Ne’matollah Vali, a famed Persian poet who died in 1431. 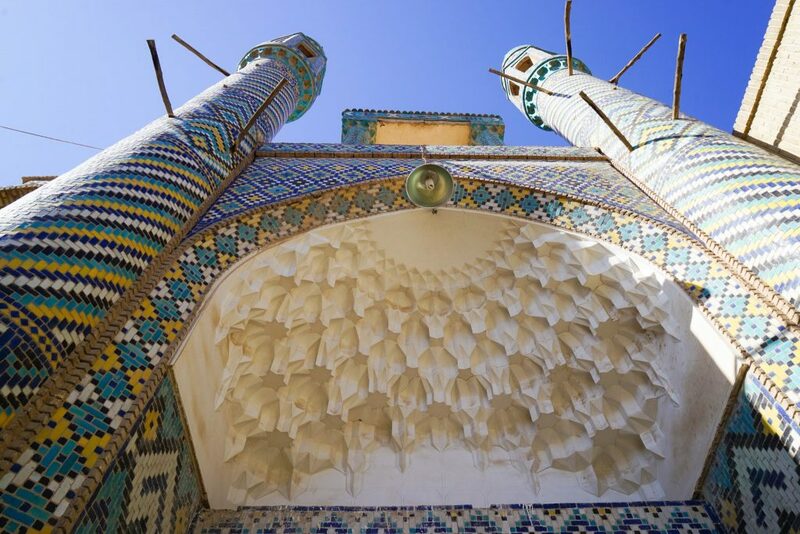 This is a country which loves it poets so the beautiful blue cupola and twin minarets from the Qajar period are not unexpected, nor is the praying chamber covered in ornate calligraphy. 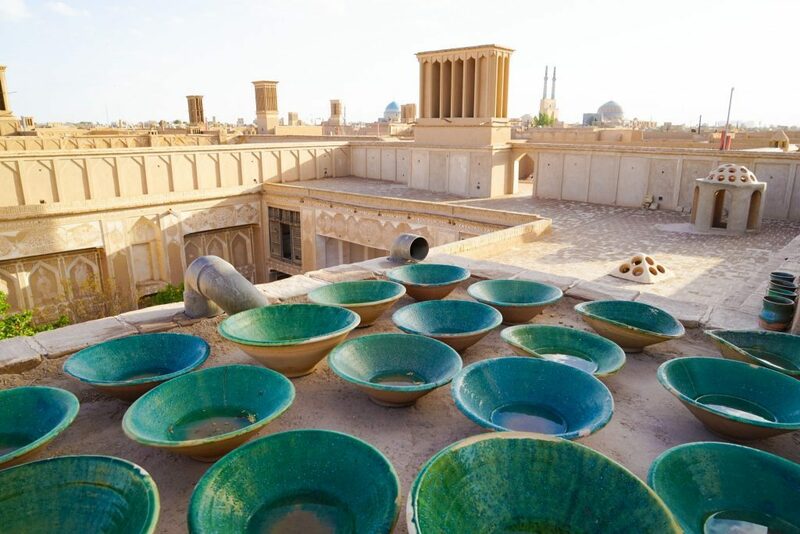 Many day trips fro Kerman can easily include here, and while enjoying the two interior courtyards are free there is a charge for the main tomb if you want to see the 17m tall dome. 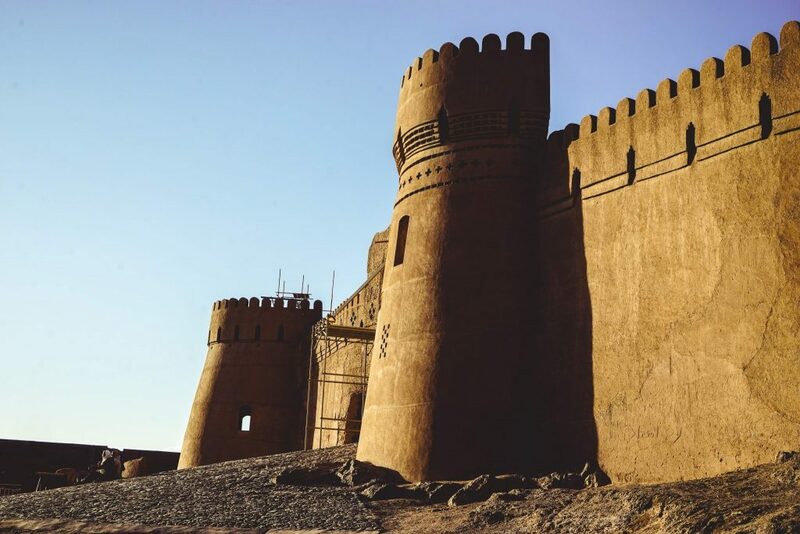 Not quite as impressive as Bam Fortress, but significantly closer – Rayen is only an hour away from Kerman and gives an opportunity to experience one of Iran’s most impressive fortresses (without an Earthquake damage). There was not even a guard when we turned up so we were free to explore around to our heart’s content including the well-resorted governor’s palace interior and surrounding courtyards. Do not try to access the upper-walls however as even if you find the way (there is one) it is dangerous, slippery and you will quickly be yelled at for being entirely stupid! With plenty of dark passages, small rooms, and history – there is no reason not to visit both Rayen and Bam from Kerman on a day trip! Located in the south of Iran, getting to Kerman is easiest via bus, train and flight. There are direct flights to Tehran daily, domestic flights to most major cities in Iran and weekly flights to Dubai. From Tehran the overnight sleeper train is the best option and takes around 15 hours, or you could take a bus from Tehran and other cities in Central Iran. As a major transport hub in Iran and the greater region you should have no problem getting and and out of Kerman. 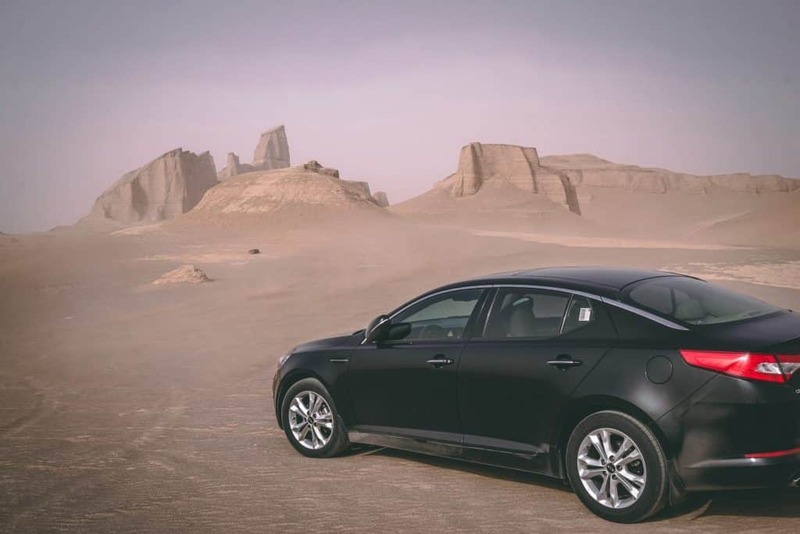 And if you want even more adventure – and to get out into nature while exploring off-the-beaten-track in Iran – why not consider hiring a rental car in Iran? What could be better right! 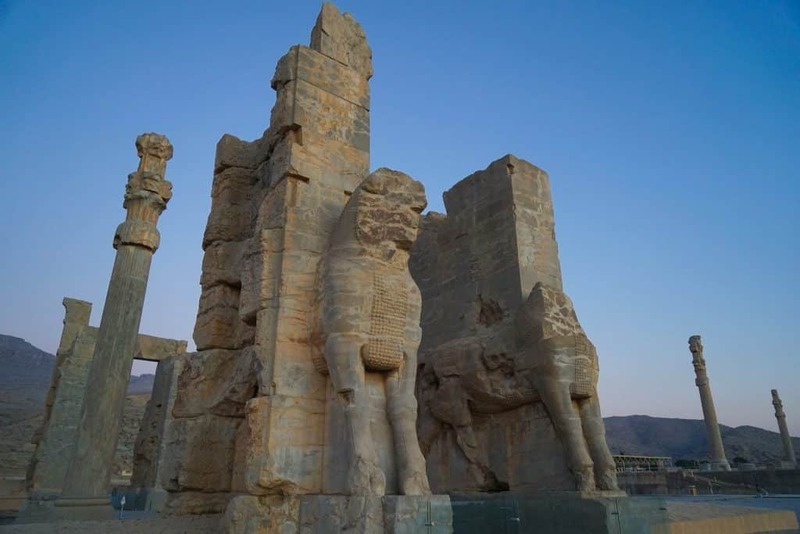 Shiraz – Often referred to as the cradle of Persian civilization, explore multiple ancient ruins, beautiful mosques, delicious food, and surreal natural landscapes. Intrigued? 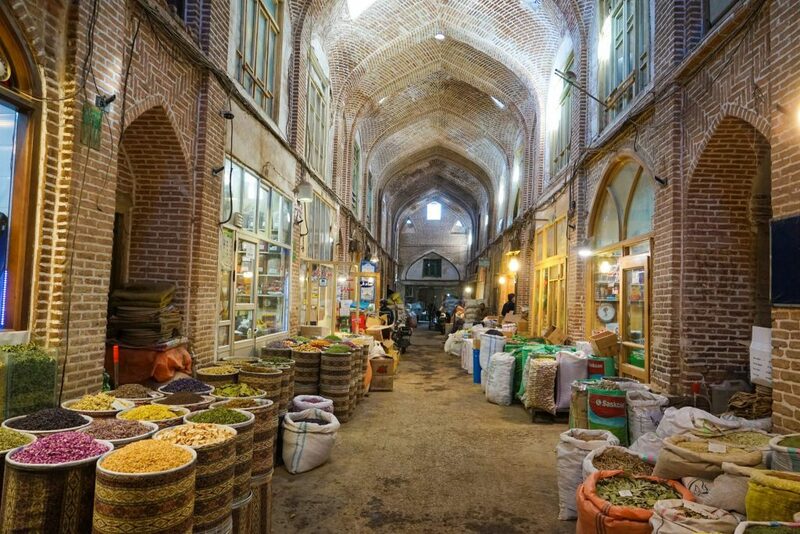 See these 12 unmissable things to do in Shiraz, Iran. 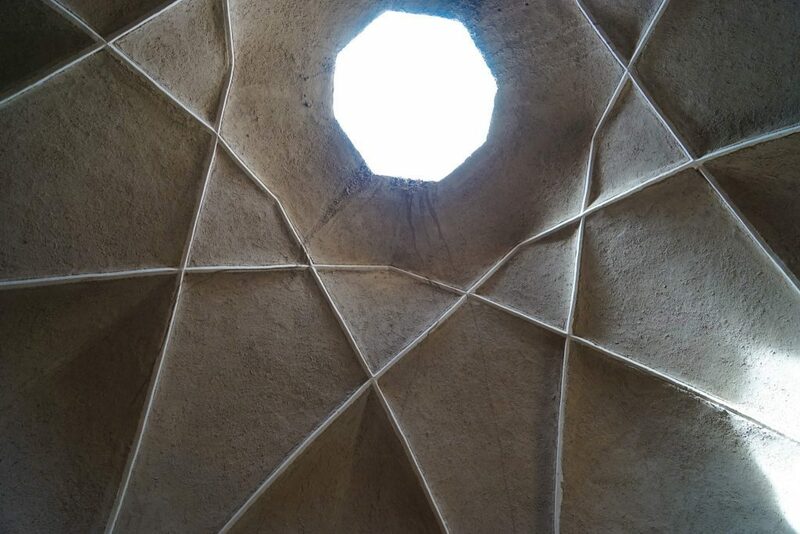 Shushtar – A hidden gem if ever there was one, Shushtar is really off-the-beaten-track destination but you will be rewarded by some of the friendliest people in Iran, incredible ancient structures and delicious food! 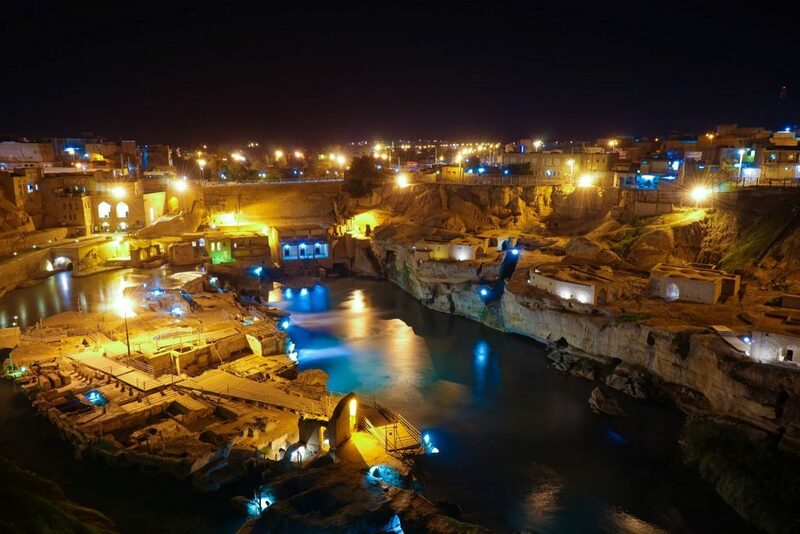 Find out everything you need to visit Shushtar in Iran. 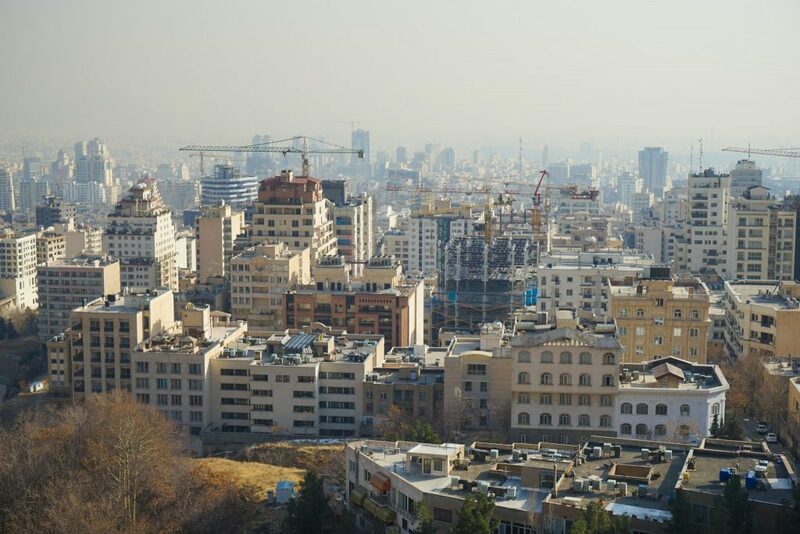 Tehran – The largest city in Iran often skipped over by travelers. 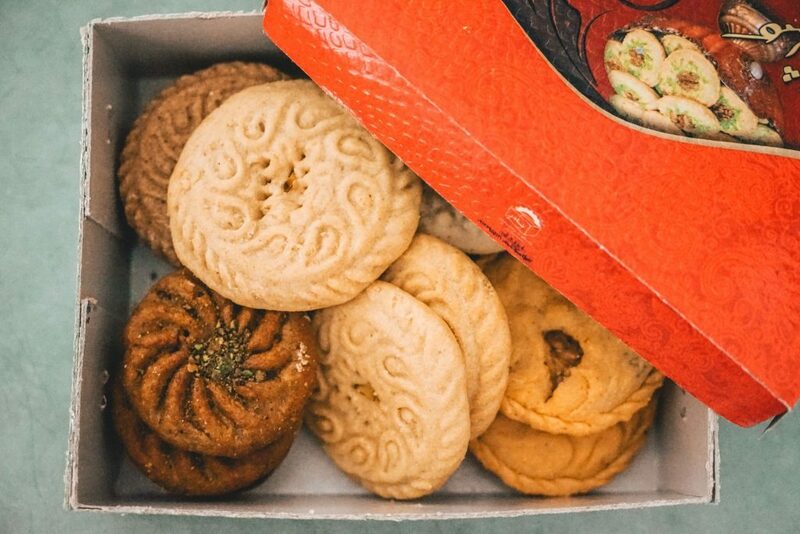 Once you get past the smog and traffic, however, you will find a relatively liberal city with the largest cultural institutions in the country. 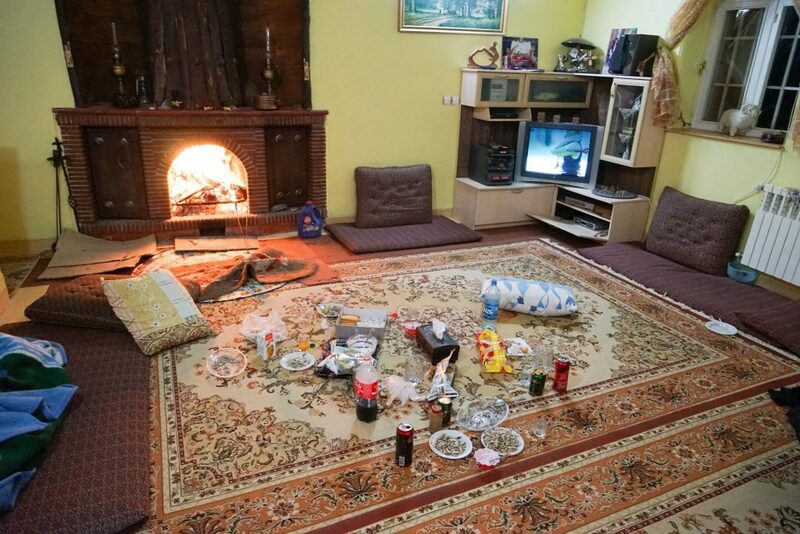 Click through to the ultimate guide to Tehran to find out more.